Meghan Markle and Prince Harry have seemed pretty much inseparable since their wedding in May, except for today's solo trip for the Prince. The Duke of Sussex headed to The Royal Marines Commando Training Centre in Lympstone, which was the first visit in his official role as Captain General Royal Marines. But eagle-eyed attendees spotted the Prince was regularly playing around with his wedding ring throughout the visit - so why would a recently married royal be fiddling with his ring in such a way? 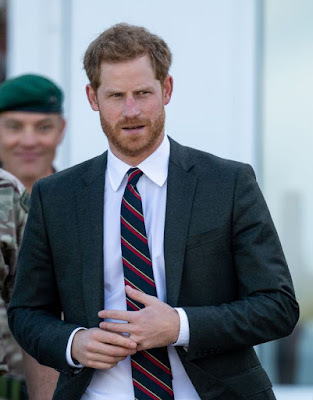 Body language expert Judi James reckons the Prince is missing his new wife, as his odd behaviour shows, but it could also be a partially defensive act from the Prince. “The ritual would take on a different meaning if the ring were being pulled up and down the finger or even on and off when it would be much more likely to signal a rift or potential divorce!" 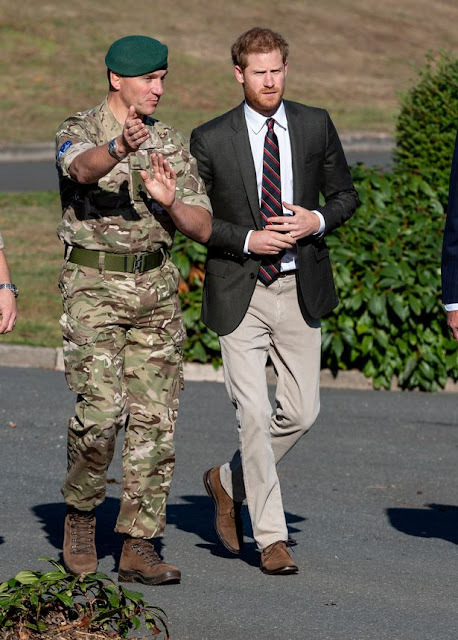 Meanwhile, Lisa Petrillo, an entertainment journalist for CBS Miami, suggested she had seen Meghan walking her dog outside Kensington Palace while the Queen's grandson met the troops.